You are here: Home / Sir Jason Winters Blog / Loose Leaf vs. Tea Bags: Which Tea Is Best? Loose Leaf vs. Tea Bags: Which Tea Is Best? Most tea drinkers have a preference when it comes to their blend. Maybe they prefer green tea, black tea or something completely different. But what many tea drinkers don’t consider is how they’re brewing their tea. When preparing your cup of tea, there are two main options: loose leaf or tea bag. While they might not seem that different, there are some important subtleties that could completely change the way you approach your brewing. Both options are going to give you an excellent flavor and delicious drink, but one may be better for you than the other. One of the biggest reasons people opt for tea bags is how easy they are to use. When you purchase tea bags, they come pre-packaged with the perfect amount of herbs to brew a cup of tea. There’s no packing required – you just need to open up the bag and place it in the cup. Because they’re designed to be ready-to-brew, tea bags are always going to be a popular tea option. While they might not offer the same flexibility as loose leaf blends, they’ll still provide a great tasting and consistent flavor. If you’re a true fan of tea, then you’ve probably already adopted loose leaf as your go-to for tea. As far as quality tea goes, loose leaf is going to give you the most out of your herbal drink. Why is loose leaf “better”? Because it can adapt to any type of situation you can think of. You can control exactly how much tea you’re releasing into your cup. 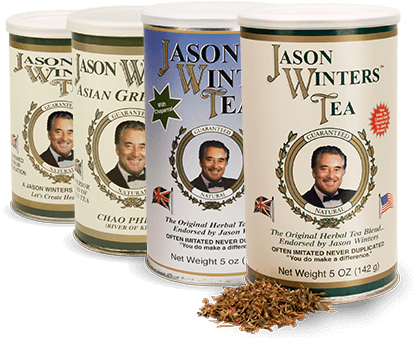 For instance, you might enjoy drinking a specific blend of Sir Jason Winters herbal tea. Maybe you prefer a stronger, bolder flavor tea. Or perhaps a little less mild. With loose leaf, you can put in whatever balance of tea you want. No matter which tea option you pick, you’ll still be getting the potential health benefits that come with drinking tea. And for some people, one might not be better than the other – it all comes down to personal preference. If you enjoy drinking tea but don’t want to get too involved in the blend, makeup or consistency of your tea, then a tea bag works perfectly. You’ll get an awesome cup of tea with minimal effort. Remember, tea bags are designed to taste great when brewed, so you can’t go wrong with them. If you’re looking for a specific flavor or blend, or want more control over the potency of your cup, then you should probably go for loose leaf. You really can’t go wrong with either choice – it just depends on what you want out of your tea! https://sirjasonwinters.com/wp-content/uploads/2017/04/what-kind-of-tea.jpg 493 1200 Michael Austin https://sirjasonwinters.com/wp-content/uploads/2016/04/logo.png Michael Austin2017-04-05 12:11:502018-10-17 13:31:27Loose Leaf vs. Tea Bags: Which Tea Is Best?